100% Pure Açaí Berry capsules with no nasty ingredients, as reviewed by the Sunday Express magazine, for skin, hair & natural energy boosting. If youve seen other acai berry products online or in stores, check the ingredients against ours. Our ingredients are simply: Acai Berry Fruit (700mg) plus the vegetarian friendly capsule shell. Beware of capsules filled out with such fillers as: Starch, Soya Bean Oil, Yellow Beeswax, Caffiene and Soya Lecithin. All of these ingredients are inactive so theyre not going to benefit you in any way. Victoria Gray, an editor for the Sunday Express, tested our 100% Pure Acai berry to see if it lived up to its fantastic qualities. She published her unbiased findings in the Sunday Express S Magazine on January 3rd 2010. The review wasnt a paid-for advertisement, rather an honest, real testimonial, and she was blown away by the results. She was impressed with our acai berrys positive effect on her energy, hair, skin & nails within the space of 3 months. 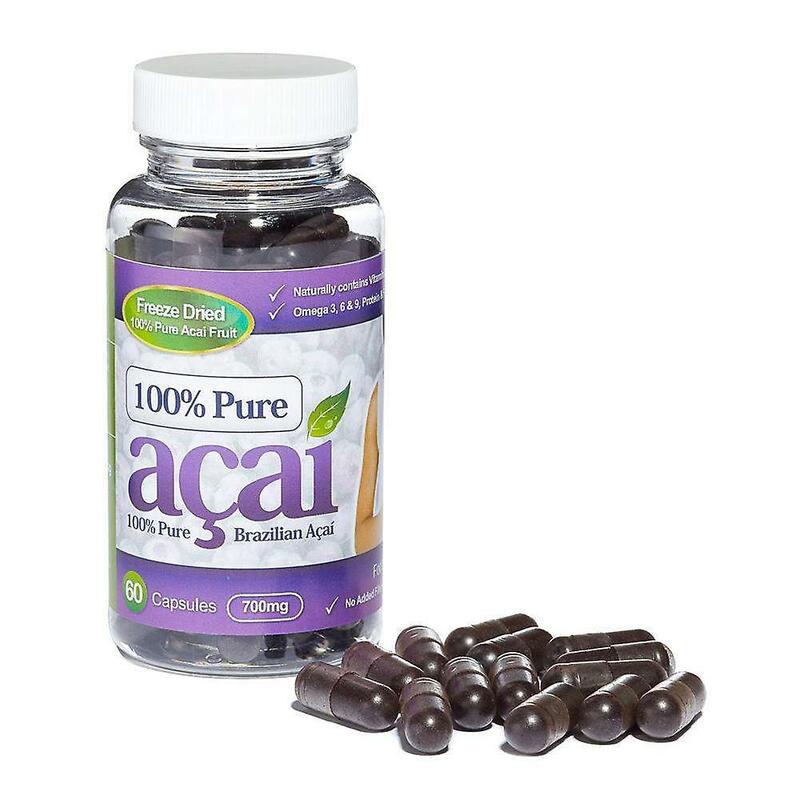 Our acai berry capsules are 700mg capsule strength available in 60 capsule packs. 2 capsules are recommended daily, equaling 1400mg of pure acai berry fruit straight into your body. We guarantee the highest quality Acai Berry without any hidden bulking ingredients or costs. Acai berry is a powerful antioxidant, native to Brazil.